It is commonly believed that ‘good looks’ are needed to be a film actor. Om Puri, one of the greatest actors of Indian cinema who passed away suddenly on Friday after a cardiac arrest, proved this wrong. Every newspaper and news channel commended his talent and recalled his histrionics. Writing on the life or talent of Om Puri, Padma Shri, OBE, would be repetition. So I would record only a personal memory. Going to meetings and appointments minutes before the scheduled time being one of my weaknesses, I reached the Rajkumar College in Indore, where he was to speak, to find only Om Puri and the Principal there. It seemed Om Puri too suffered from the same ailment – very unusual for film people. As there was still half-an-hour for the event to start, we had time for a chat. Among other things, I asked him about his role in one of his most famous films, ‘Ardha Satya‘. He plays a policeman in the film. Om Puri loses his “romantic interest” in the film, played by Smita Patil, to another person. He is infuriated at this “stealing”. When he confronts the villain, Rama Shetty, played by Sadashiv Amrapurkar, he accuses him of “stealing other people’s possessions.” And kills him. Then he goes to his senior officer, salutes him and says, “Sir, I have killed Rama Shetty”, plainly, without any emotion. I asked Om Puri whether it was his interpretation of the role to tell his boss about the killing as if he had just performed a duty. Om Puri was happy I noticed the nuance and said that exactly was the intention. “But it is not my interpretation, but of the director, Govind Nihalani,” he added. There was a controversy when he said, speaking of martyrs who died in a terrorist attack that nobody had forced them to join the army. The media flared up at the “insult” to army. He had to apologise. What he said could have been interpreted as a compliment – to people who laid down their lives for the country, fully aware that their career choice could lead to death. They did so of their own accord and not due to any compulsion. It is commonly believed (even by me for long) that he was younger brother of two other actors, Amrish Puri and Madan Puri, who both played villains. In fact he was not even related to them. His roles in Ardh Satya, Tamas, Akrosh, Jaane Bhi Do Yaaron, Arohan, Sadgati, Pakistani film Actor in Law… and several other films were memorable and showed great versatility. He could do art films and comedy with equal ease. The 66 year old actor came from a poor family and rose to be one of the most versatile and able actors of Hindi filmdom. And every report on the death noted that he rose to that position even with a face that cannot, by any stretch of imagination, be called handsome. No one with an unattractive, pock-marked face, could even dream of being a film actor. But he not only aspired to but became one, rising to the top only on the strength of talent. His batch-mate at the National School of Drama,Naseeruddin Shah, another who rose only on acting talent, says in his autobiography, ‘And Then One Day: A Memoir‘, that Om was “a model, if somewhat stodgy, student and human being: completely virtuous, genuinely considerate, deeply compassionate, industrious, punctual, attentive, thoughtful”. Om Puri’s marriage in 1991 to Seema Kapoor, actor Annu Kapoor’s sister, lasted only eight months. 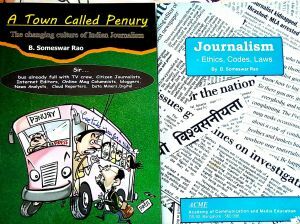 He married a journalist, Nandita Puri, in 1993, but her references to him in her book led to their separation. They have a son named Ishaan. Beautiful women and ‘sugar-candy’ men with stunning good looks can, with luck, become stars with careers only as long as the looks last and then forgotten. Talented people like Dilip Kumar, Om Puri, Naseeruddin Shah and Amitabh Bachchan remain actors – till their last days. And in public memory – for ever. One of my favorite actor. Such people who remain honest towards their job, proffession emerge as real life heroes and the strength of their character could be noticed very clearly. A Tribute he deserved! TBGL is a handsome tribute to the versatile actor’s histrionic talent, particularly his performance in Ardh Satya.True, he effectively proved that good looks are not essential for one to become a good actor. Endowed with a rich, resonant voice, Puri never failed to spellbind the audience withhis dialogue delivery. Yes, though I wanted to say a few words about his excellent voice – next only to Amitabh Bachchan’s – forgot to do so. Show I;m stoppable now. A very interesting piece! Though I never watched his older movies, I watched him excel in comedies as a great entertainer. One movie by Nagesh Kukunoor called “Bollywood calling” was hilarious only because of Om Puri! About Ben Kingsley, it is said that he always wanted to be an actor, not some passionate director who stumbled into acting, or an actor who’s true love was cinematography or writing or something else, but a true actor’s actor. 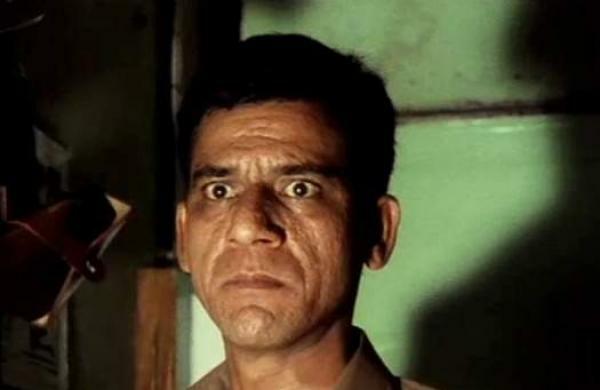 Om Puri is the same- he always wanted to act- big roles, special appearances,villain, hero, comedian, it didn’t matter. He was also in the same movie with Ben Kingsley- Gandhi! Indeed great performances! You are right. He became the character he played, while acted like N T Rama Rso prortrayed what the character would be if he was NTR. So NTR remained NTR even when he played Ram, Krishna or farmer. Om like Naseeruddin Shah was a great actor. .,..and yet, when I asked him, he gave the credit to the director. That was his greatness.